Get all of your home buying questions answered in one place! 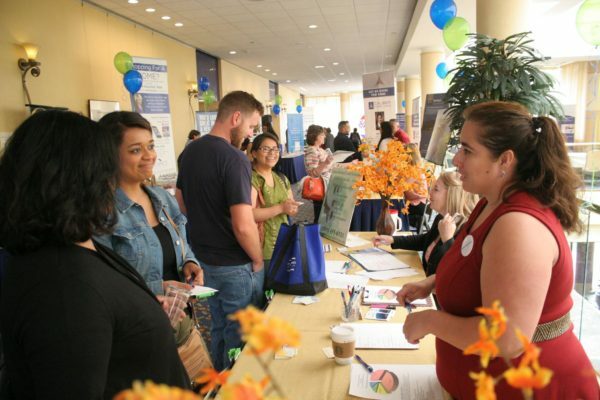 Coastal Housing Partnership’s seventh annual Home Buying Fair offers potential home buyers a wealth of information and resources on their path to home ownership. Whether you are a first time home buyer, a move-up buyer or just thinking about buying a home, this fair is for you. It is designed to give attendees the tools to help navigate the home buying process and today’s real estate market. Whether you can come for 30 minutes or several hours, you will walk away with important tools to help you be more prepared on your path to home ownership. The Home Buying Fair is presented by Key Sponsor Cornerstone Home Lending. The Welcome Home Sponsors are Caliber Home Loans and Homebridge Financial Services. 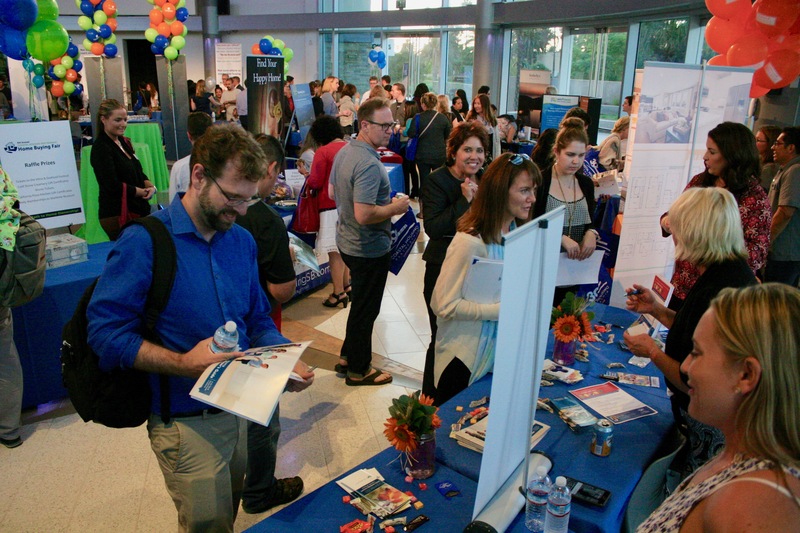 Thanks to our employer partners, Cottage Health and UCSB. For more information and to RSVP for the October 17 Home Buying Fair, click here. 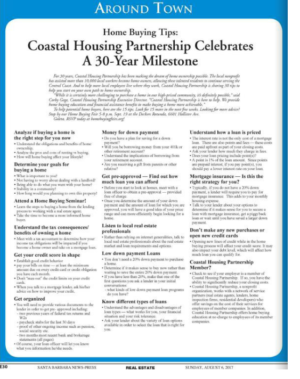 This entry was posted in Home Buying Fair on September 4, 2018 by Coastal Housing Partnership. The Home Buying Fair is presented by Key Sponsor Cornerstone Home Lending. The Welcome Home Sponsor is Vineyard Village. To RSVP for the June 2 Home Buying Fair, click here. For more information and to RSVP, go to www.homebuyingfair.org. This entry was posted in Home Buying Fair on May 3, 2018 by Coastal Housing Partnership. 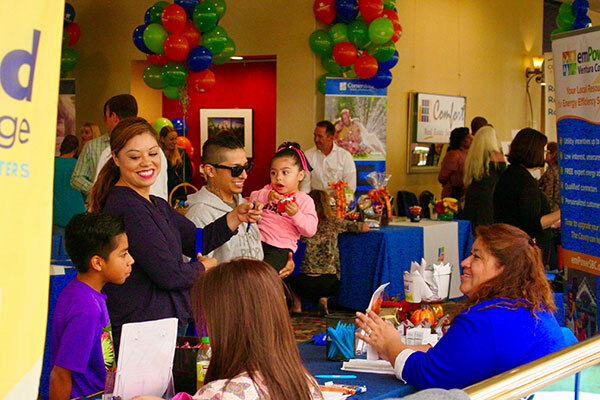 Coastal Housing Partnership’s 30th Anniversary Home Buying Fair Series a Success! 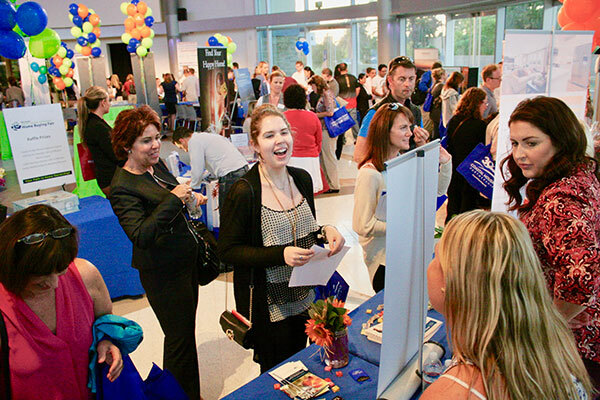 The Home Buying Fairs are designed to give attendees the opportunity to find out more about the home buying process, the real estate market and to meet real estate professionals in an efficient, no-pressure environment. Hundreds of potential home buyers attended the three fairs held in Santa Barbara, Goleta and Ventura. Attendees received valuable information from real estate professionals as exhibitors and in the education sessions offered throughout the fairs. Dozens of exhibitor booths provided attendees the opportunity to easily and informally interview potential partners of their home buying team, including real estate agents, lenders, residential developers, escrow companies, and credit & financial service professionals. Education sessions were offered to help attendees understand the home buying process, regardless of where they are in the home buying process – whether working to build better credit, trying to purchase a home with less than a 20% down payment, or learning how to negotiate the real estate transaction. 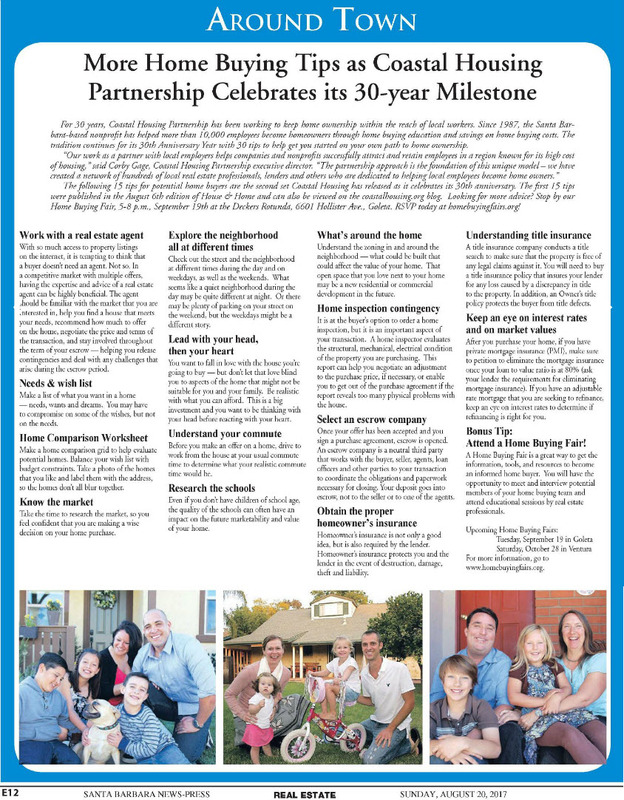 For nearly 30 years, local nonprofit Coastal Housing Partnership has been helping employees of local companies realize their dreams of home ownership through home buying education programs and benefits provided through a network of local real estate partners. 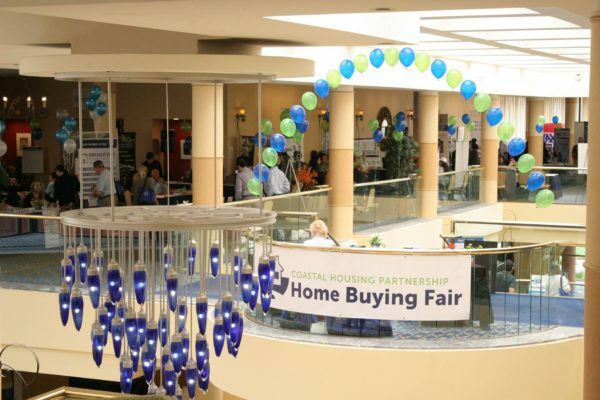 The Home Buying Fairs are designed to give attendees the opportunity to find out more about the home buying process, the real estate market and to meet real estate professionals in an efficient, no-pressure environment. This entry was posted in Home Buying Fair and tagged coastal housing partnership, home buying fair on November 29, 2017 by Coastal Housing Partnership. Coastal Housing Partnership’s sixth annual Home Buying Fair offers potential home buyers a wealth of information and resources on their path to home ownership. Whether you are a first time home buyer, a move-up buyer or just thinking about buying a home, this fair is for you. It is designed to give attendees the tools to help navigate the home buying process and today’s real estate market. The Home Buying Fair is presented by Key Sponsor Montecito Bank & Trust. Welcome Home Sponsors include The Kelly Marsh Team at Cornerstone Home Lending, Synergy One Lending, and Peggy Sue Tierney at RE/MAX Gold Coast Realtors. 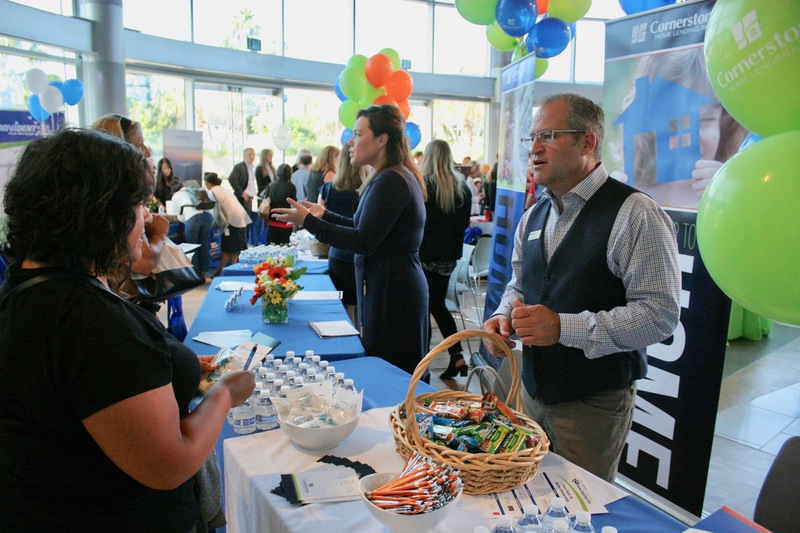 This entry was posted in Home Buying Fair and tagged coastal housing partnership, home buying fair, ventura on October 19, 2017 by Coastal Housing Partnership.